Beautifully set in the grounds of Rose Hill, NC the blend of elegance with Carolina grace has become an perfect location for popular events. 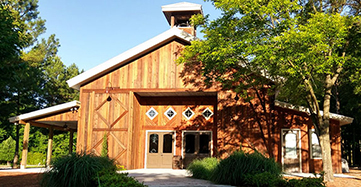 The building is seamless and complements the main structure that houses the area's best local wines. Casual and spacious. Adding to the "big as all outdoors" feeling is a huge vaulted ceiling that rises atleast two stories high. A coffered center section is painted with faux clouds, perhaps suggestive of a night under the Australian sky. Tall windows at one end offer a view of marsh grasses and a small private marina on the Intracoastal Waterway. create intimacy within the volume. Paintings that appear to be contemporary reproductions of Australian aboriginal art, decorate the dark wood-paneled and stone walls. 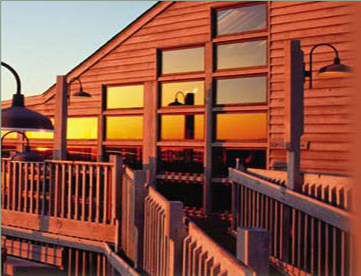 The only restaurant on the Grand Strand where you can see the ocean on one side and Murrells Inlet on the other. 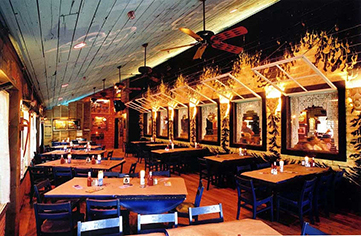 A premier restaurant and entertainment venue located in Barefoot Landing, is fashioned in the ambiance of an old Southern Delta Juke Joint. The 59,000 square foot site houses a 300-seat restaurant and 200-seat outdoor deck. Adjacent to the restaurant is the music hall which embraces all genres of music. 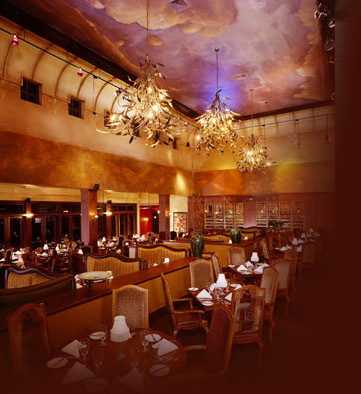 Feed your soul at House of Blues, unique regional and international cuisine seasoned with at touch of the Delta and the best in contemporary folk art.